Stephen E. Banning serves as Senior Pastor of Braeswood Assembly of God Church in Houston, Texas. Prior to that he served as Senior Pastor of Memorial West Church in west Houston. He currently serves as Assistant SuperintendentExecutive of the South Texas District Council of the Assemblies of God. Pastor Steve also serves on the Board of Directors of Pleasant Hills Children's Hones. Additioanlly he serves on national and local advisory boards and counsels. His past assignments included Senior Associate Pastor, Minister of Christian Education, Youth Pastor and Minister of Pastoral Care. He has served on the National Assembly of God U.S. Missions Board, Executve Presbyter orf the South Texas District, Assistant DYD for SouthTexas, on the Houston Sectional Committee, and Houston Section Christian Education Director. He and his wife Donna have ministered in Africa, Europe, Central and South America, the Middle East, in the Caribbean and in the former Soviet Union. Pastor Steve and his best friend, ministry partner and wife Donna have been married 42 years. They have a passionate commitment to build the Kingdom of God as they Reach Up, Reach In and Reach Out. Pastor Steve, as he is fondly referred to by the Braeswood congregation, has had a long history with Braeswood Assembly of God Church. His father, Earl J. Banning, served as senior pastor for over thirty years, retiring in October, 2000. Pastor Steve succeeded his father as senior pastor that same month. Pastor Steve has served the Braeswood congregation in a number of ministries for over 41 years. He began his service in 1977 as Minister At Large, fulfilling an assignment given to him by the Braeswood Board. Following that ministry, Pastor Steve served briefly as Minister of Pastoral Care, developing a ministry to hospital patients, a lay-counseling ministry, and guest follow-up. In 1980 Pastor Steve was asked to serve as Minister to Youth, where he served for six and one-half years. During that time the youth ministry began innovative programs of outreach, Christian Education and youth music ministry. Under his direction a college ministry was birthed. The youth ministry grew to over 250 students with ministry outreaches and community service projects. 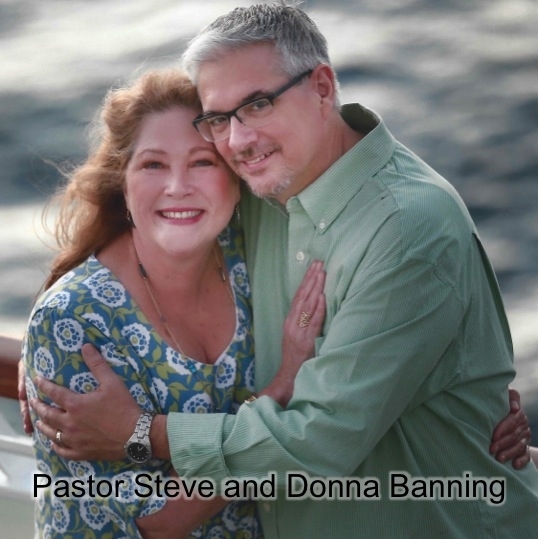 Pastor Steve founded a ministry to engaged couples called Engaged Encounters of Braeswood. In 1986 Pastor Steve was asked to step into the role of Associate Pastor. Pastor Steve was responsible for Braeswood's entire Christian Education ministry, including supervision of staff pastors while overseeing the adult education ministry. During that time Braeswood Christian education Ministry broke the top 15 Assembly of God Sunday schools in the United States. An additional number of new adult classes where offered. 1988 brought what would become a significant transition of Pastor Steve's ministry. Braeswood undertook the aggressive role of mothering a church in west Houston, and asked Pastor Steve to assume the responsibility of pastorng the fledgling new work. The young church became known as Braeswood Memorial West church. Three years later the church became a sovereign assembly known as Memorial West Church. The church grew and added a Minister to Children and Youth in 1993. In 1996 the church entered into an extended time of revival and growth culminating with several water baptism services in a "horse trough" due to the lack of baptism facilities. That trough was fondly refereed to as the "baptismal unit". In 1996 Pastor Steve was called back to Braeswood to assume the post of Senior Associate Pastor. In that role he was again responsible for the entire C.E. program. Braeswood was honored as the tenth largest A/G Sunday school in the United States. Pastor Steve credits this growth to the more than one hundred teachers, instructors and support staff who all serve with great passion. During this time the Braeswood Bible Institute was founded. In 1997 a new era for Braeswood began. With Pastor Earl Banning announcing his retirement, a succession plan was initiated, electing Pastor Steve as the Co-Pastor of Braeswood for two years, then assuming the position of Senior Pastor in October, 2000. Those two years went by quickly as Pastor Steve began the process of learning, growing and preparing for God's direction. Braeswood continues to be an aggressive church with a passion for the harvest. With a commitment to Reach Up, Reach In and Reach Out Pastor Steve looks toward the future with great expectation. Pastor Steve communicates his passion for ministry by reminding the Braeswood Family often, "God has given us southwest Houston. God has strategically placed us here for this season. We must, and we will reach this city. We are not building a church. We re building the Kingdom of God."